Courtesy of Steven Florchuk of Royal Lepage Noralta Real Estate. 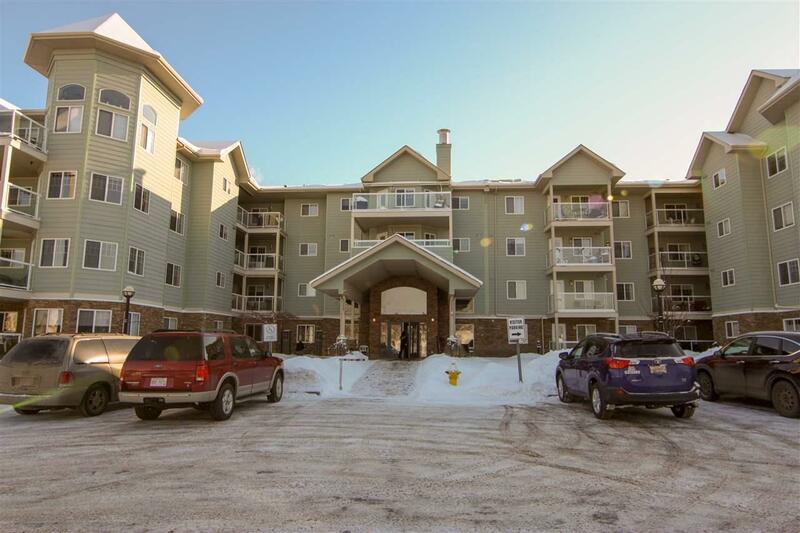 Beautiful, move-in ready condo in great 45+ building close to all amenities. 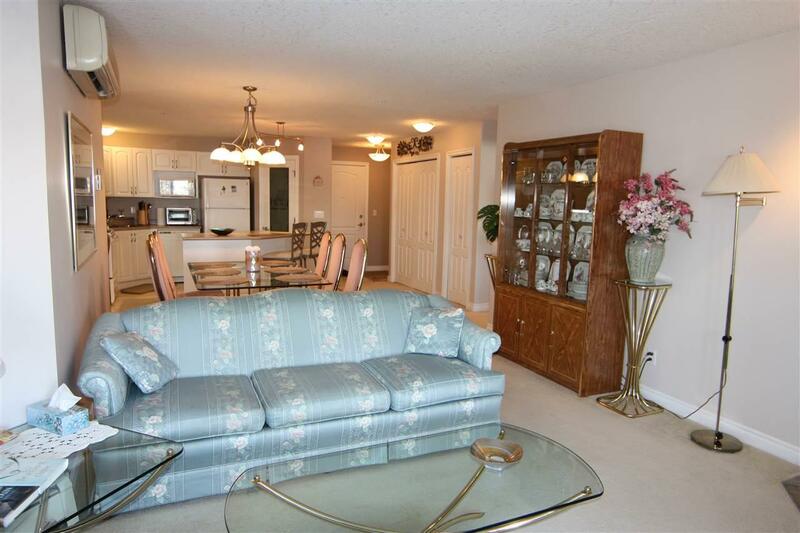 This 1051 sq ft home offers 2 bedrooms, 2 baths and an open concept main living area. The white kitchen has plenty of cabinets and counter space. 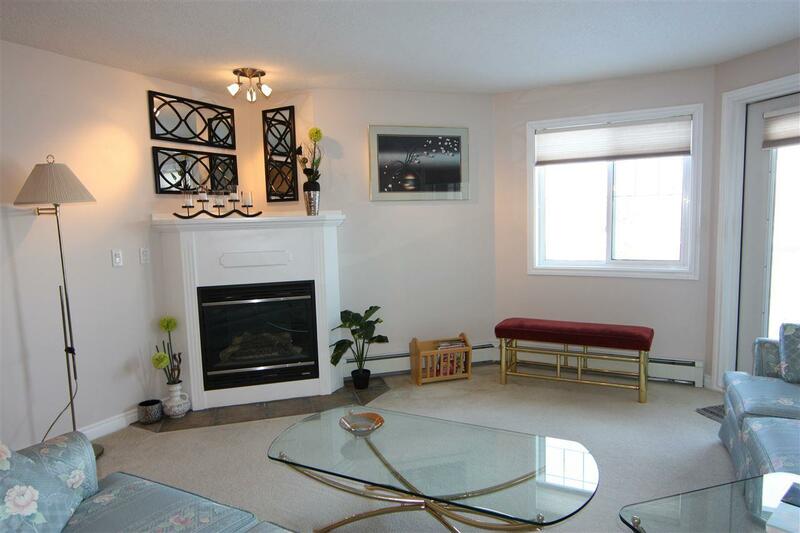 The living room features a corner gas fireplace and access to the balcony (gas hook-up). 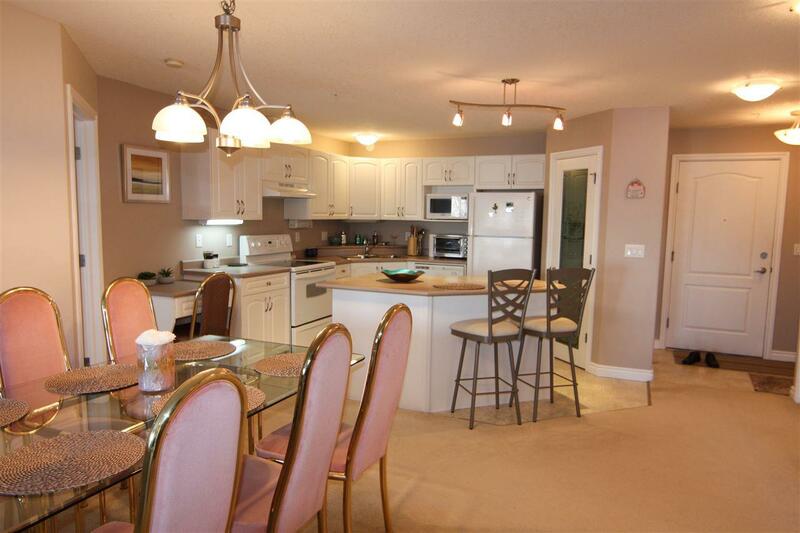 Dining area is large enough for a family sized table. Master suite features walk-through his/hers closet and 5 pc ensuite. There is a second bedroom, 3 pc main bath and laundry room to complete this well cared for home. Air conditioning unit included. Parking includes 2 titled stalls (1 underground/1 outside). Well run building with social spaces and security. Just move in!